I spent yesterday checking books out like crazy from my personal cook book library. 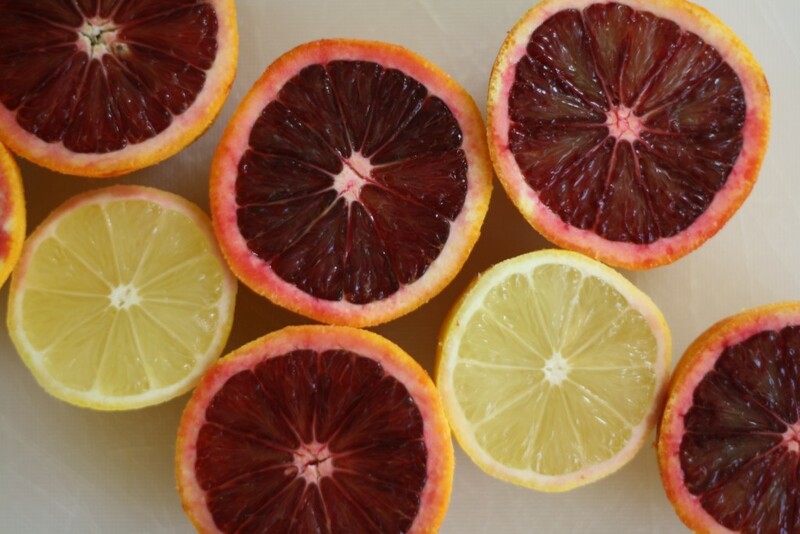 You see, blood oranges are finally here, and I was searching for all the lemon bar recipes I could find to make blood orange bars to fulfill winter goal #36 [make blood orange bars]. 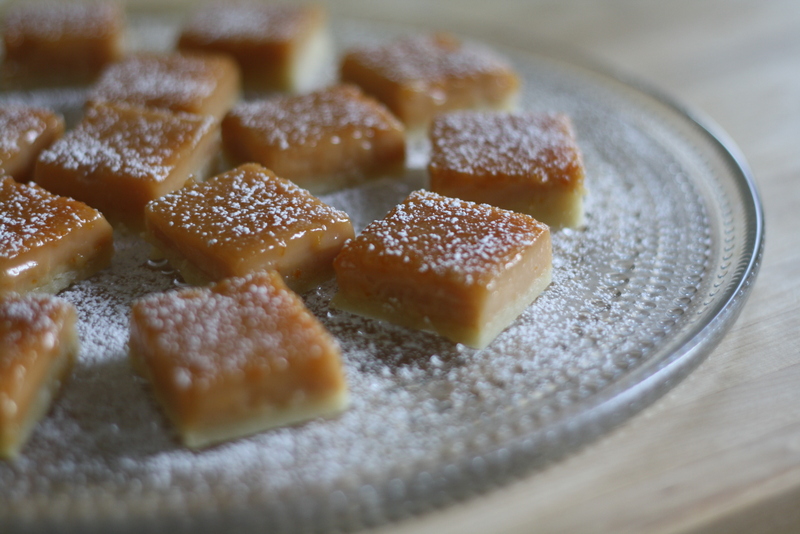 You would not believe how much lemon bar recipes vary. Where one recipe would call for 2 eggs, another would call for 11. ELEVEN?! I can handle butter but I draw the line at nearly a dozen eggs in a single batch of anything. So what is girl to do? Well, I’ll tell you what I did. Painted my nails and read just about every recipe I could find. After two test batches, I am happy to say that I found a winner. 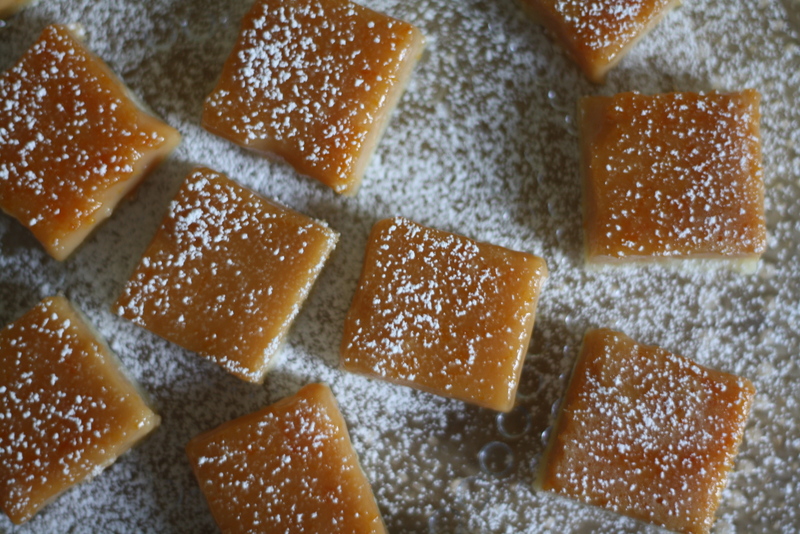 With buttery shortbread and a touch of honey – one bite will send you straight to citrus heaven. Preheat the oven to 350. Butter a 8 x 8 pan and line with two sheets of parchment paper, then butter the parchment. Set aside. 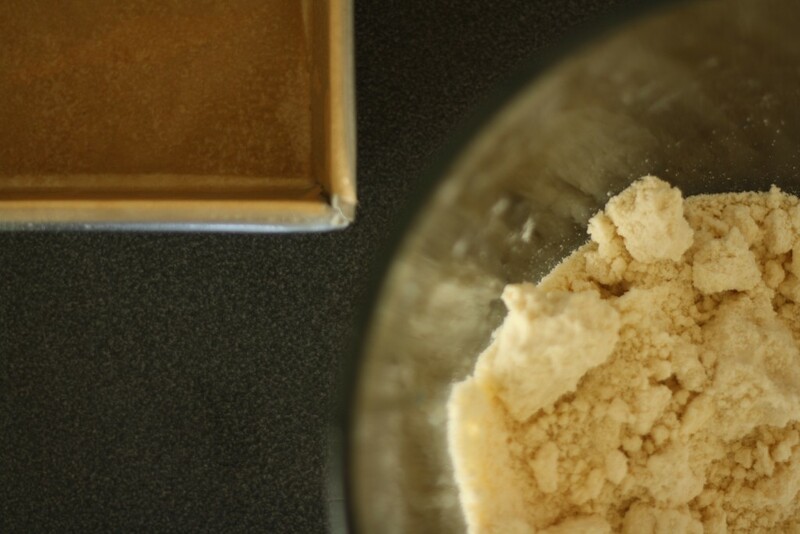 Whisk together the flour, sugar, cornstarch and salt in a large bowl. 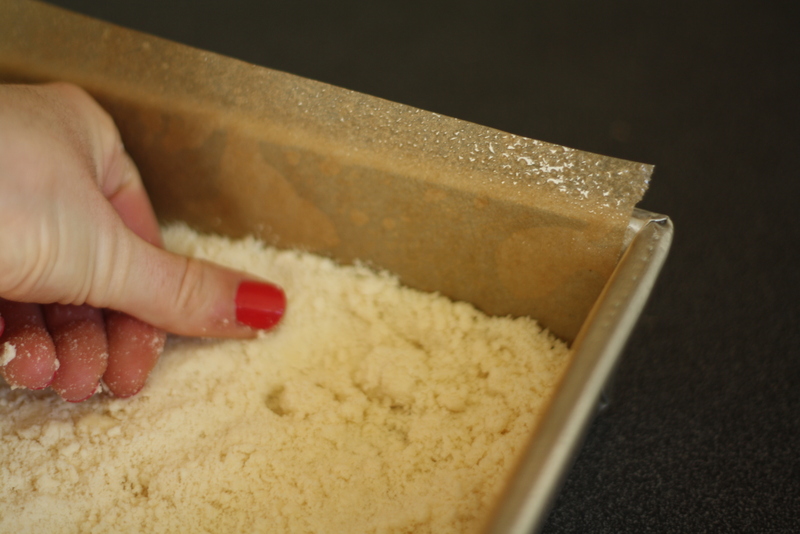 Rub the butter into the flour until a dough begins to form and the mixture holds together when pressed. If you are feeling lazy, you can also just pulse everything together in the food processor. Press the crumbs evenly over the bottom of the pan and refrigerate for 15 minutes. 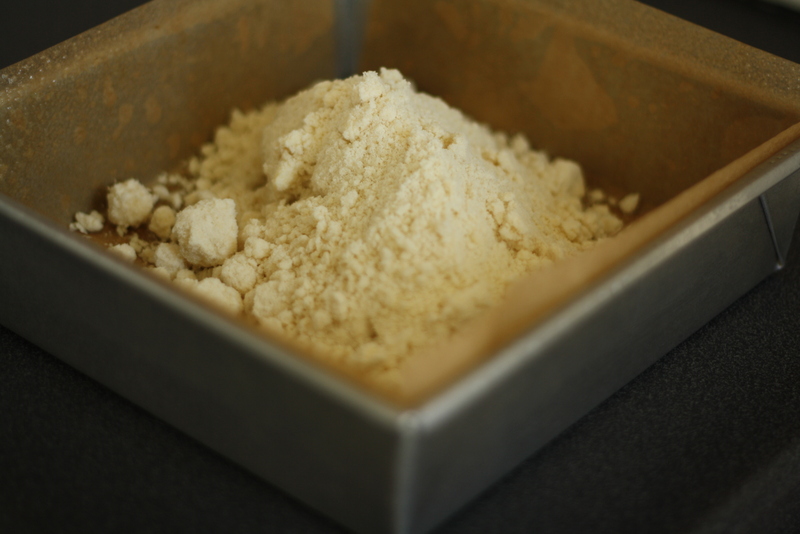 Bake the crust for 20 minutes or until just lightly brown, and reduce the oven to 325. In a large bowl whisk together the eggs until they have thickened slightly. 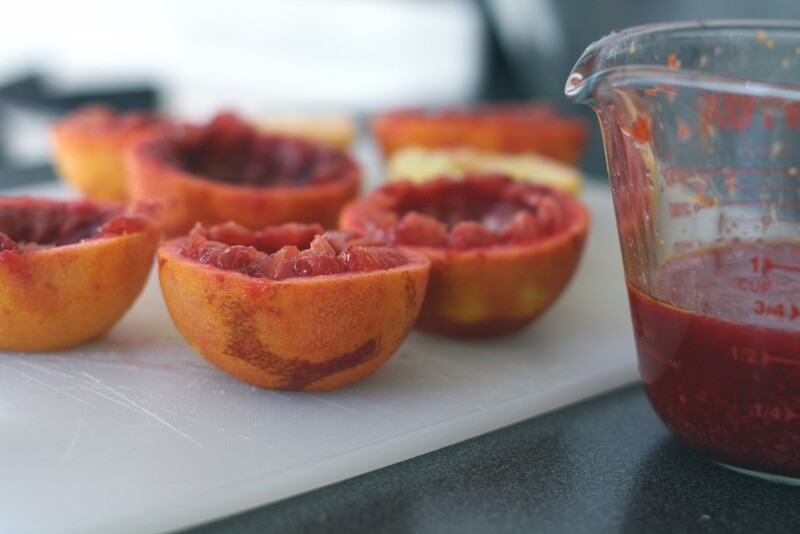 Add the sugar, zest, juice, honey, flour, baking powder and salt and beat until smooth. Pour the filling over the warm crust and bake for 20-25 minutes or until it has set. Let the bars cool, then refrigerate until fully chilled. 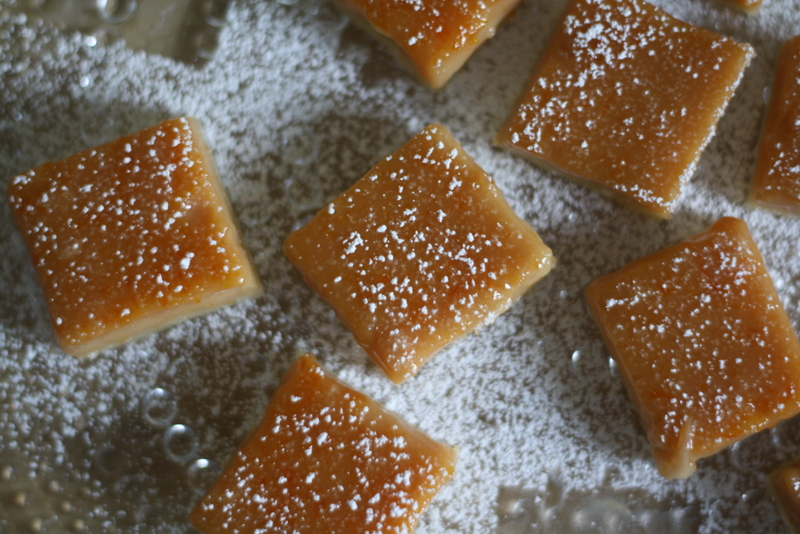 Cut into squares and sprinkle with powdered sugar. P.S. 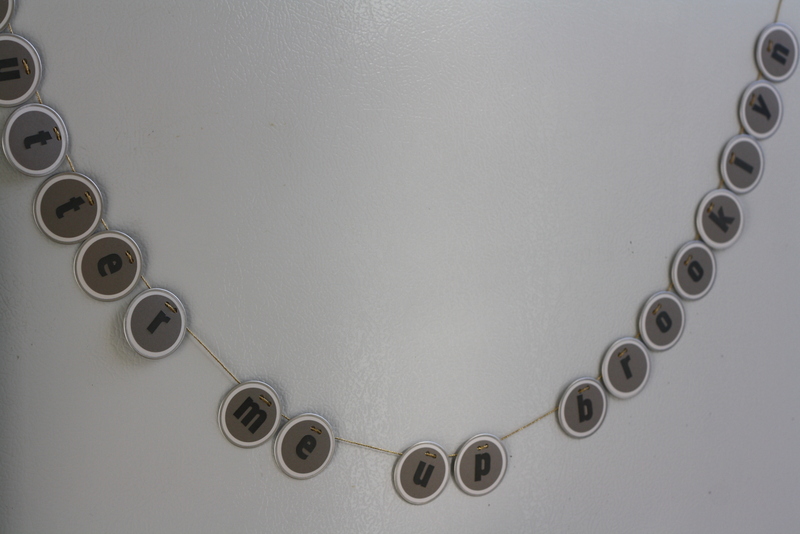 The final product from Friday Crafty Time Hour – pop-up shop signage! Woot! I love your blog. Found you through the voting at contest for the best blog. I previously came across 1 of your recipes, I think maybe on pinit. Really like this recipe. I plan to bake it. Thanks so much for a wonderful blog. I think I am the only one who has tried to bake this. Because 3/4 cups flour for the crust is way to little. I added that amount and all I got was buttery butter without any trace of crumbles. So I guess it must be 1 3/4 cups – at least this amount appeared OK for me.